So far 2014 has been a great year for Telesis. 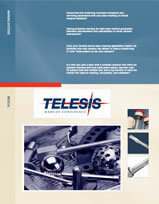 We have done really well, worked hard, and challenged each other to improve the Telesis Brand and its results. We are on schedule, but it has become clear that in order to stay on schedule we need to take an extra step. This summer we have been working hard with great results. This, combined with our new innovative products, is giving us hope and faith for the future. But we also know we can do better; Better Communication, Better Presentation. Normally we ask you to challenge us, but this month I would specifically like to hear from you what we can do to improve our market communication. Please send me your thoughts, wishes and requirements in order to mark the difference. Reflecting on the first half of the year, we have had an interesting and challenging semester. You have been challenging us, pushing us to find our limits. Sometimes it is not easy, but truth be told we are loving it. 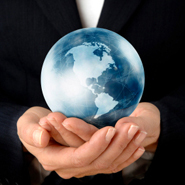 In the last few months, we have been all over Europe presenting our business cases in the newsletters. 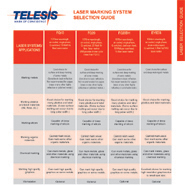 We hope this will make you aware of the capabilities of our marking systems. In this issue find a small summer puzzle. It is time to challenge you for a bit! To make it a proper competition I will put the first 10 correct contenders in a basket. The winner will get a mini Ipad. Join us at MACH 2014 is the UK's largest event for Manufacturing Technologies. Over five days, more than 20,000 visitors will see some 500 exhibitors putting their latest technologies and innovations through their paces. The exhibition has been created in a joint venture between the leading machine tool associations in Denmark, DVF & VOV, and Odense Congress Center with participation from the trade publication Teknovation as media partner. The Techni-Show (the Netherlands) is the largest and most important exhibition in the field of industrial production techniques, processing and treatment of metals, appliances and tools.In co-location with the ESEF, the European subcontracting and engineering fair. High Speed Marking Challenge for the EV40! Join us at The UK's LARGEST regional manufacturing technology, electronics and subcontracting exhibition. Who knows our products and their capabilities best? This year, we would like to let our sales engineers and technicians share their experiences in the field with our marking systems. We kick off in Russia where our marking solutions are used under extreme circumstances. In 2014, the industry will be meeting up at the EISENWARENMESSE - International Hardware Fair in Cologne from 9th to 12th March. The trade is looking forward to discovering the countless novelties and further developments that the industry has to offer. A high number of leading suppliers from the exhibition areas 'Tools', 'Industry Supplies', 'Fasteners and Fixings', 'Fittings' and 'Home Improvement' use the fair to present interesting novelties and innovations to industry professionals. However, the fair also serves as a huge communication platform, because this is where the international trade and the industry traditionally get together for an intensive industry exchange. NORTEC is a practically oriented trade fair for trade visitors who are looking for optimal solutions. In addition to its importance for the industry in general, it is also of fundamental value to all educational institutions that specialise in manufacturing technology and engineering, as well as research institutions, authorities, economic initiatives, associations and specialist media.